I came across this one after scribbling through a lot of books, trying to understand what really went against Pakistan in its path to become a world power. I must admit I was fascinated by the bipartisanship of Husain Haqqani, an ex-Pakistani ambassador and perhaps the closest to establishment. The book is very well indexed and talks about, in detail, the expectations of Pakistan and America for each other. It also speaks volumes about the inflated beliefs vs ground realities, which have made strong impressions in Pakistan’s history. For instance, Pakistan requested 2 Billion dollar loan in 1947-48 while America responded with 0.5 percent of that amount. From America’s perspective, it never got a military base inside Pakistan and had to rely upon Turkey until the Afghan war. The part of the problem was that Jinnah’s Pakistan always imagined itself to be “the pivot of the world” which kept it distant from the ground realities. The book contains solid history of how Pakistan and the US formed their relationship around wishful assumptions. Quoting from the book, Pakistan believed that America needs to provide aid to it to prevent Russia’s influence in South East Asia. America on the other hand thought Pakistan to be an ally in Cold War and as an ally in creating an opening for Us ties with China. The absence of informed analysis on both sides is beautifully illustrated in it. It is pretty well indexed and traverses through various times depicting the nature of relationship between both of the countries. The status-quo between the two countries could be well demonstrated through the personal equations between the statesmen of the two countries. The author has exactly done the same and has put forth some eloquent display of how Ayub Khan connected with Eisenhower, Yahya Khan handled Nixon administration, Musharraf shook hands with Bush and Zardari mishandled Obama. Bhutto, Zia, Carter and several other important names from the administrations of both of the sides have found their deserving mentions in the book. In one such instance, Haqqani referred Zia as the most “superb & patriotic liar”, who convinced Americans that Pakistan does not pursue making the “bomb” and yet played hide and seek with US in pursuit of American aid. Anti-communist hardliners got attracted to Zia’s rhetoric with Carter endorsing CIA’s assistance to Mujahideen. The book pretty much is a must read for anyone interested to have a rational view on Pakistan’s diplomatic relationship with America and her international policy in general. 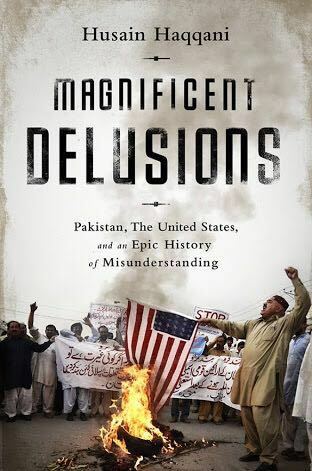 The book is very easy to read and has a large degree of freshness when compared with other books on US-Pakistan relationship (some other books to consider are “the Duel by Tariq Ali, Children of Dust, Empires of the Indus, however, Magnificent Delusion clearly stands out). It’s concise yet deep in its analysis, well-organized and has a degree of euphemism which is so interspersed within an Ambassador. The book is pretty captivating and would urge you to never stop reading it.